Joe (far left) and Ginny (far right) Schulte started Southwood more than 35 years ago in Tulsa, OK. Today the thriving business is run by the second generation of Schulte’s, President Margaret Schulte (middle left) and Human Resources Manager Brenda Schulte Baird. When you’ve been-there-done-that time and again, keeping things novel can pose a challenge. Southwood, one of Oklahoma’s largest grower-retailers with 35-plus years’ experience behind its name, doesn’t see this type of problem as an obstacle — it’s a mission. Southwood has it all — perennials, shrubs, annuals, indoor plants, home décor, outdoor furniture, and more. While it strives to ensure that the high quality of its plants and products never varies, the selection does, with a heavy emphasis on the new, updated, and exciting. 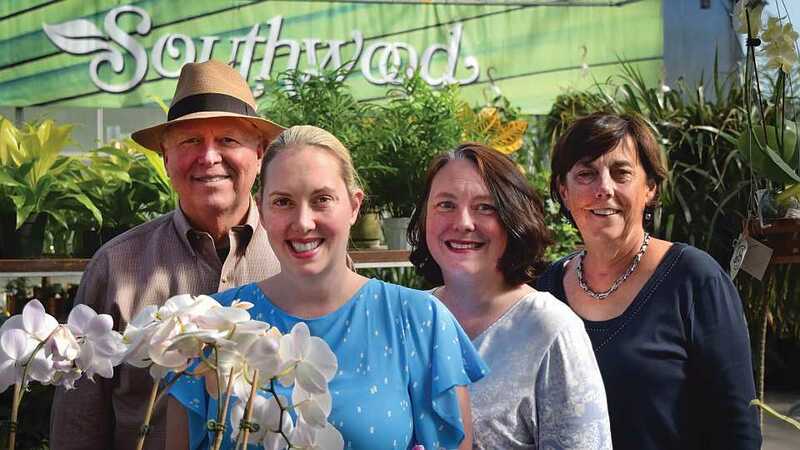 Southwood’s owners and staff want to create a place where people do more than just buy plants. They want consumers to think of Southwood as a destination garden center where they can come to spend time with their families. They also want their customers to be successful, and the staff is committed to doing what it takes to make that objective reality, whether it’s trialing new plant varieties, growing quality product, or providing education and community service. “We are constantly looking for new ways to motivate people to come here and want to learn more and embrace gardening,” says Margaret Schulte, President and CEO of Southwood. Southwood’s roots reach back to 1982, when native Oklahomans Joe and Ginny Schulte started a small landscape business in Tulsa, OK. Today the operation includes a full-service landscape and design company, and a thriving garden center and growing facility. 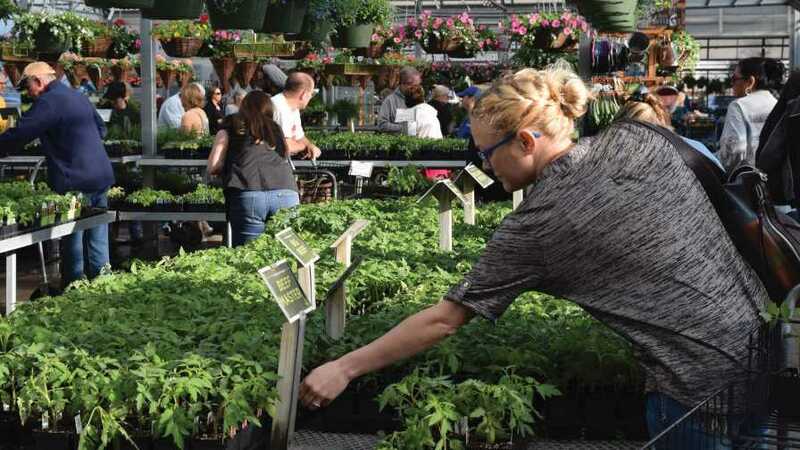 The garden center sprawls across 5 acres and includes a 25,000-square-foot, state-of-the-art Nexus greenhouse. Plants of all varieties grace meandering trails throughout the nursery, where young visitors can pedal red and blue tricycles around the displays. In 2002, Southwood expanded its capabilities with the addition of a 10-acre growing facility, located within easy driving distance of the garden center. It grows many of its own products there, including pansies, mums, roses, and summer annuals. The company celebrated its 30th anniversary in 2012 and remains a family run business. Joe and Ginny’s daughter, Margaret Schulte, took over as President of the company two years ago, and another daughter, Brenda Baird, serves as Director of Human Resources. Joe and Ginny are semi-retired, but Margaret says her horticulturist father is still the best go-to source for plant advice. “I help him with his iPhone and he helps me with the plants,” says Schulte, who has been back in the business for seven years after earning an MBA from Northwestern University’s Kellogg School of Management. When asked about the transition of leadership from one generation to the next, Schulte says she and her parents took the don’t-rush-things approach, which made for a smoother transition for the company. 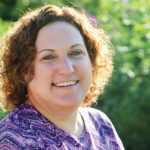 Schulte came back to Southwood to learn the business after graduate school, and when she felt completely comfortable with all aspects of it, then the change became official. Southwood introduces 20% new cultivars of perennials and annuals to its product lines each year, while also purging itself of outdated varieties. General Manager Joe Ward says he equates it to upgrading an iPhone. It helps create excitement. Southwood works to maintain a balance between keeping things novel, but also predictable and reliable where performance is concerned, so it trials new plants in-house before offering them to its customers. If a new variety doesn’t meet Southwood’s high standards, it doesn’t make the cut. The 20%-new approach can be tricky, Ward says, because the company doesn’t want to confuse customers with too much variety in plant material, yet it has to offer enough of an assortment to keep things interesting. Ward’s goal is to turn each of his greenhouses three times a year, so he says he also looks for crops that have a quick turnover and those that help him provide color for every month of the season. Southwood started growing its own crops, particularly herbs and mums, because of availability problems caused by long-term suppliers closing their doors and the need to supply better quality products. What it found is growing local has certain advantages, and it has better control over the quality of its plants. Unlike other growing operations that have moved away from using synthetic fertilizers, Southwood has returned to using them, saving the organics for herbs and vegetables and high-fertilizer-need plants that burn easily. The operation also pays close attention to monitoring its water quality and makes its own soil blend for use in its production facility and for sale at the garden center. The blend is a special formulation designed for good drainage and developed especially for the heat and environmental conditions in Oklahoma by Dr. Carl Whitcomb of Oklahoma State University. But what Southwood excels at on the production side is the planning process and analyzing upfront what is going to go down on the ground, how long it will take, and how quickly growers can get it up so they don’t have to wait to start another crop, Ward says. Southwood’s perennials program is an excellent example of its careful analysis and planning before it acts. The company recently added a quart line of perennials to its product mix. After observing other retailers and doing due diligence in the analysis, management saw an opportunity in offering perennials as a competitive shopping buy item. After further analysis and a competitive price survey, management decided it needed to raise the prices on perennials. The change took place in Jan. 2018, deliberately planned for the off-season so customers wouldn’t feel the hit during the peak spring planting season, and it has worked out beautifully. Southwood reported in Greenhouse Grower’s 2019 State of the Industry Survey that implementing this change helped it increase profitability in 2018. While careful planning has paid off for Southwood, Schulte says planning in this industry isn’t easy, especially with Oklahoma’s crazy weather. One thing Schulte says Southwood has done a good job with this past year is inventory control to maintain inventory levels relative to its sales reps’ needs. Southwood has made some advances on how it is monitoring its inventory and incorporating that data into its day-to-day operations. Schulte says through this process, management has learned that it’s difficult to do this well without recording the data every day, rather than at the end of a period. Like other growing operations, keeping its day-to-day operations innovative and up-to-date, whether it is managing inventory, growing and selling plants, or working with customers, is vital to Southwood’s continued existence and ability to thrive. Southwood’s annual Plant a Row for the Hungry fundraiser is a popular event that benefits the Community Food Bank of Eastern Oklahoma and its customers’ vegetable gardens. For Southwood, community outreach is all about service, but it has the side benefit of helping the company distinguish itself from its competitors. The company runs a fundraiser for the Community Food Bank of Eastern Oklahoma each year called Plant a Row for the Hungry. On the last Saturday in March, Southwood’s customers bring a non-perishable food item into the garden center to exchange for a 3¼-inch tomato plant. Additionally, Southwood serves behind the scenes, providing education and donating plant material or products for various community events. It also works with a nonprofit organization associated with Tulsa Garden Center, housed at the historic Snedden Mansion in Woodward Park. The organization’s mission is to provide horticultural and environmental education opportunities for the community. Southwood also lends a hand with Oklahoma State University Extension’s education efforts. Staff members help with the Master Gardeners program and grow product for other gardens around Tulsa. The Master Gardeners, in turn, assist with the Plant a Row for the Hungry fundraiser by being on-hand to answer customers’ questions.